Informative blog related to Nepal. 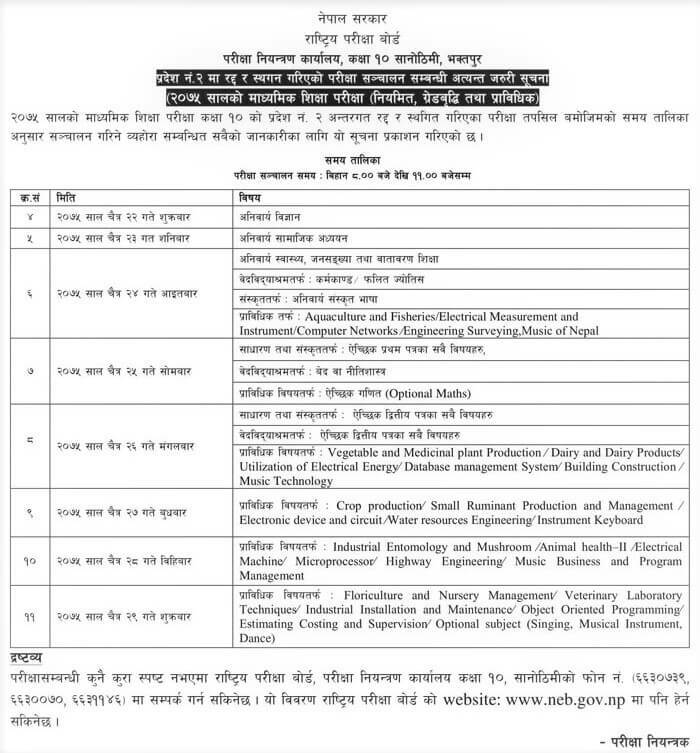 Government of Nepal, National Examination Board (NEB), Office of the Controller of Examination, Sanothimi, Bhaktapur published the examination routine of Grade 10 (SEE) of province 2. This examination was cancelled due to leakage of question paper. Informative blog related to Nepal. Hope you will find useful information so I do my best to provide supportive and helpful information through this blogger. For this, I also tried to provide a consistent information that are useful to all. If you have any concerns and information, please do share and contact me from contact page. SHARING IS CARING. Vacancies at Agriculture and Forestry University (AFU).